CLASSIC ROUGE: 40% OFF The New Honeymania Range At The Body Shop! 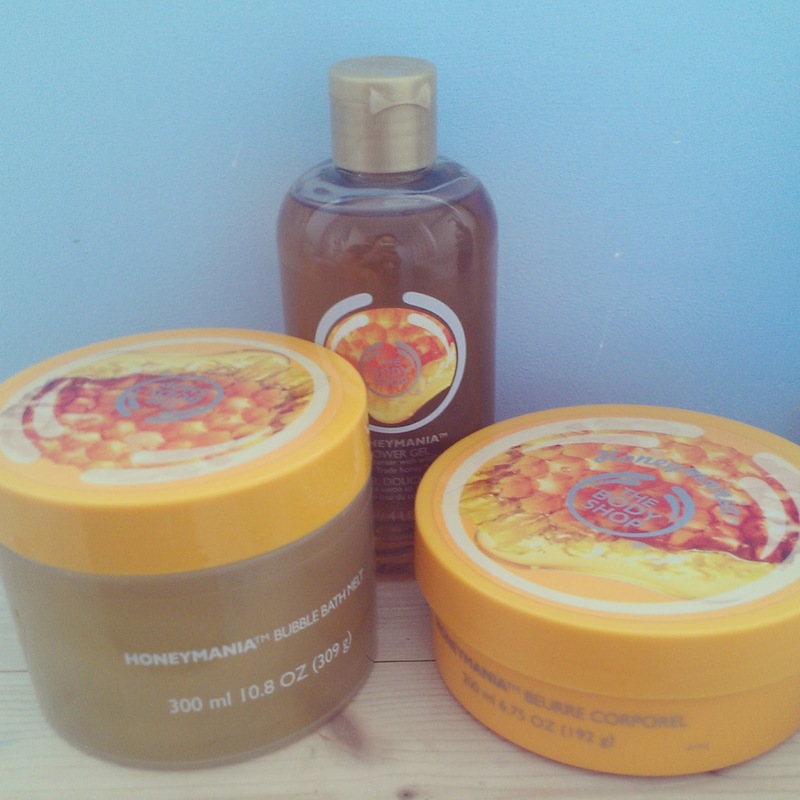 40% OFF The New Honeymania Range At The Body Shop! This is just a quick heads up to my fellow readers on a brilliant offer i spied this morning, 40% the Body Shop's new Honeymania range, i have heard about this for a while and couldn't wait to get my hands on it. I popped into town and just bought 3 from the range and showed the sales assistant the code off my phone..easy as peas! I'm not sure how long this offer is on for so get in there quick as its a good one if you fancy trying this. I purchased the body butter, bubble bath melt (which seems pretty different) and the shower gel and it came up to £16 instead of £25. I have yet to use it but it smells yummy of honey and a light floral scent, very fresh yet comforting!